We design and craft custom tiny homes of the highest quality and aesthetic that reflect the lives of those who call them home. We can build from pre-existing plans (ours and those found elsewhere), or design a completely custom home based on your napkin sketches. We are tiny home designers, builders, advocates, and owners who are passionate about the tiny house movement. Because we live in and are constantly tweaking the same tiny houses we sell, we have a unique and practical perspective on what works and what doesn’t in a tiny living space. You could call us tiny home alchemists, constantly pushing the boundaries of quality and innovation in a quest to build the best tiny home possible. Our build leadership team has a combined experience of over 30 years in creative construction, and the people involved in designing your home are the same masterminds building it. This integrative design/build approach means that we will be there every step of the way, from the first scribble to the final nail, to ensure that your tiny house dreams are realized. Since 2014, Wind River Tiny Homes has been working to create homes that are both functional and beautiful. We have lived tiny. We know that small imperfections that you might overlook in a larger house will stand out in a tiny house. We innovate to make every space, every nook and cranny, functional and beautiful. We are not just builders - we are carpenters, metal workers, and mechanics. Our skills give us an edge when creating customized tiny spaces. 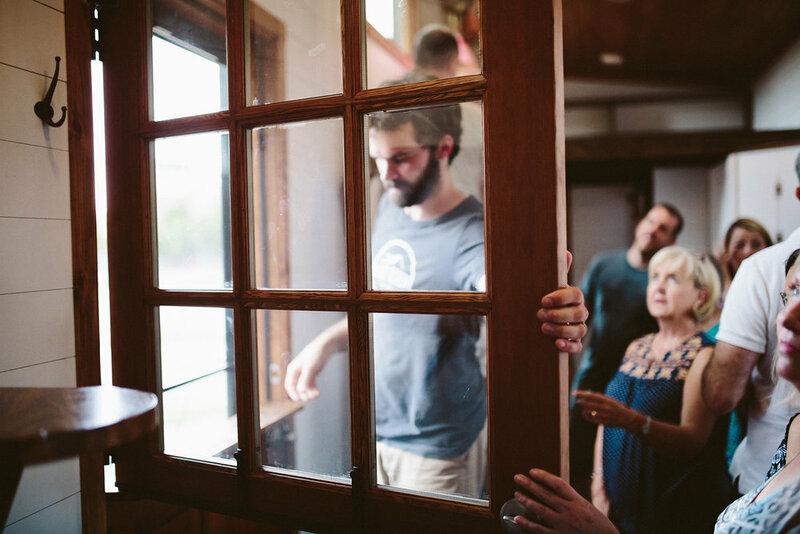 The favorite part of our job is helping people make the tiny house dream a reality. Build with us!